This Tomei valve spring kit for SR20DET Engine utilizes a spring design to provide approximately 12.50 mm lift. 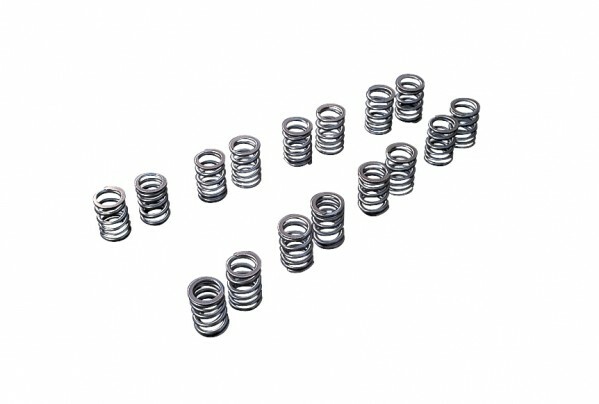 These springs are required if you are using the Tomei Procams. The springs are made of chromoly silicone and nitrided to provide high performance for a high revving motor. Couple this valve spring kit with a Tomei Procam for ultimate performance. Great for high RPMs and is highly resistant to fatigue.